Authors retain all rights to work submitted to the contest. Entries submitted to the "Darkest Place" contest are not eligible for submission in the "Running Scared" competition. Prizes can be shipped only to the United States, Canada, countries in the EU, and Australia. 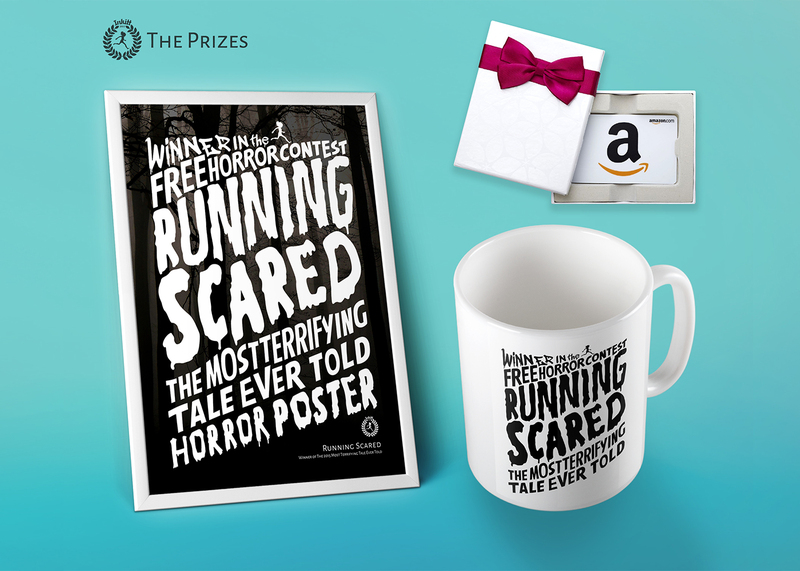 The review winner will be chosen at random from all reviews given on "Running Scared" contest entries. There is no limit to the number of reviews that can be written. Every review counts as a ticket in the reviewer raffle. There is no age requirement for participation. $25 Amazon gift card, customized movie poster (and high-resolution .pdf file) spotlighting the winner’s story, Inkitt custom mug, custom cover design for the Inkitt story of their choice (created by Inkitt’s designer). A random reviewer will also receive a $15 Amazon gift card. Clay Reed is a sick psychotic murderer, but after being bailed from prison for this horrific crime, he meets a man even more disturbing than him, and knows all of Clay's dirty little secrets. He's never been good at sewing, but that won't stop him from making the perfect gift for his wife. While his craftsmanship isn't the best, he's still hoping it'll be a gift she always remembers. Terry Gack looked at the glistening glass shard in his hands, his heart swelling with regret. Hindsight is always twenty-twenty, but that never helps one's predicaments now does it? The death of a park ranger leaves his colleagues fearful of something that may have woken deep in the woods. This story follows a man who seeks answers to questions that may be best left unanswered. This is all inspired by the Cthulu mythos, and the madness that comes with it.. This was all he lived for. All he was born to do. It's nights like these that make me wish I could go back to the good ol' days. The days when sleep was good and long. The days where none of this happened. A group of friends want to celebrate Halloween by going to the scariest haunted house they can find. But what will find them in the dark? After graduating Plainfield High School, four best friends move into an inherited mansion but dark secrets lie ahead and secrets only show themselves under influence. 20.We found something in the woods behind my house. Nobody was there. No animal scratching at the back door, no prowler trying to get in.